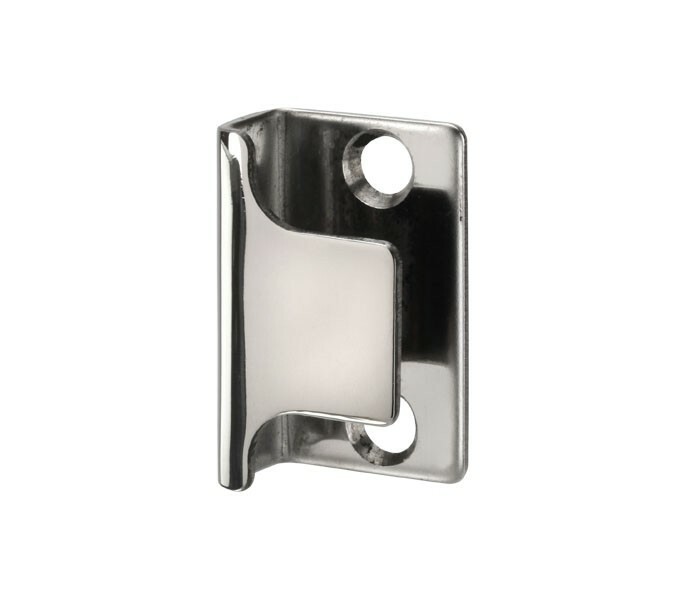 This versatile ‘U’ shaped cubicle lock keep makes a fantastic choice for those seeking a toilet lock keep for fitting onto an open out, flush or rebated cubicle door and can be installed to either 13mm or 20mm board. 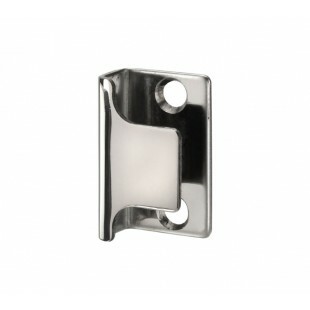 Manufactured from high quality grade 304 polished stainless steel for a low maintenance finish that corresponds with our complete range of polished stainless steel cubicle hardware. Our cubicle lock keep is supplied complete with wood screws ready for installation onto a flush or rebated door. To configure this product for use on an open-out door, two 15mm buffers (T951) should be fitted in conjunction with the keep.